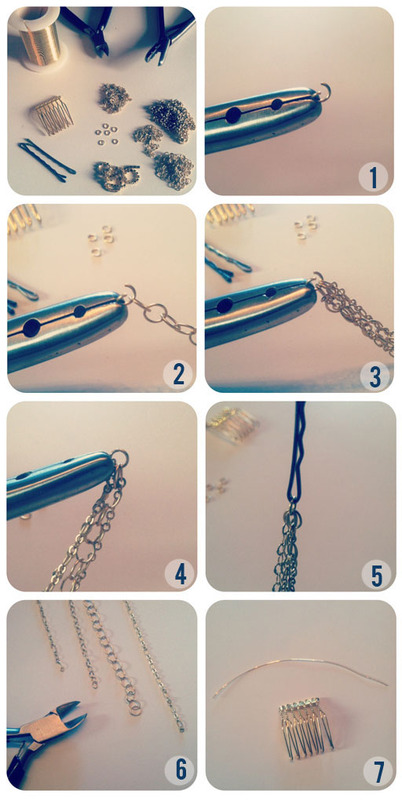 String your first chain on to the loop. 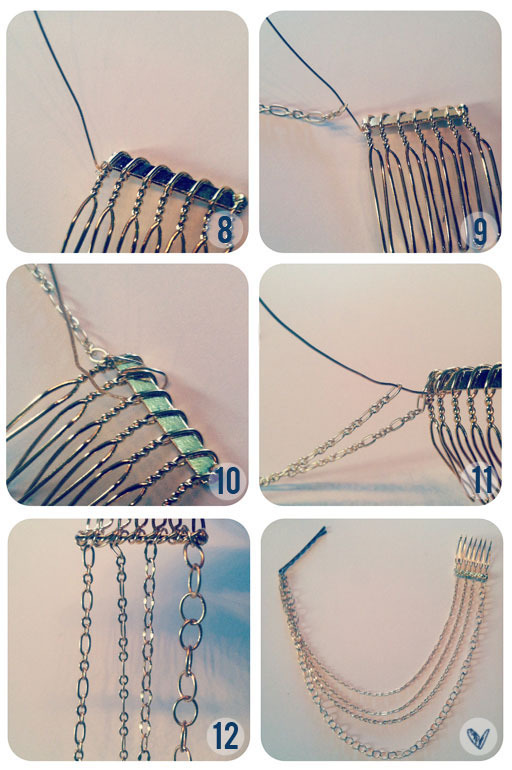 Continue stringing chain until you have as many as you want on there. I only used 4. Use your flat-head pliers to close the brass loop back up. 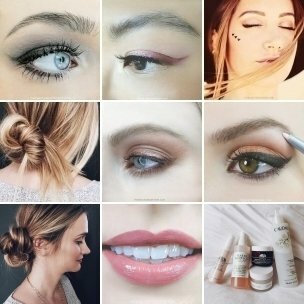 Slide your bobby pin through the brass loop. Cut your chains using your wire cutters. I cut each one about half an inch longer than the next. That way they have a draped look and fall about half an inch apart! Wrap your piece of wire around the first prong of your comb. I wrapped it three times to make sure it stays put! After you wrap it, tighten it using your flat-head pliers. String your shortest chain on the first loop. Now wrap your wire around the top of your comb and back under. Loop it around once or twice. Continue stringing your chain and then looping the wire around. 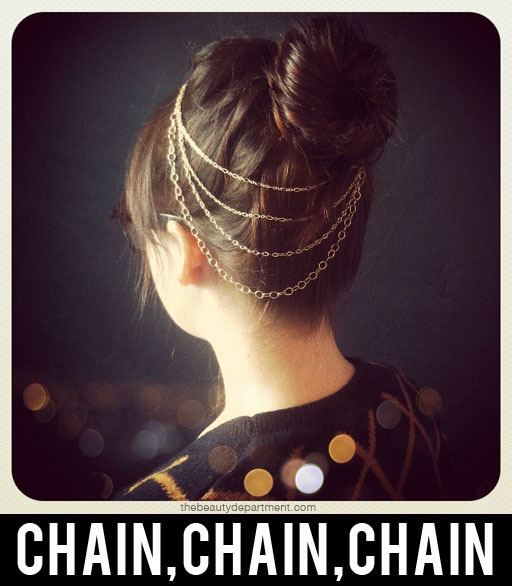 You’ll want to go from shortest to longest so that the longest chain will hang the lowest. Once you’ve finished stringing your chains, tighten it off with flat-head pliers.